Jessica Ingram was born and raised in Tennessee. She received a degree in Photography and Political Science from New York University and an MFA from California College of the Arts. She is currently a member of the Cause Collective, which is a group of artists creating innovative art in the public realm. Let’s discuss your series A Civil Rights Memorial published in Visura Spotlight. What is this series about? And what drew you to exploring and documenting this subject? Five years ago, while wandering around downtown Montgomery, Alabama, I picked up a walking tour trail, and found myself facing a large, ornate fountain, situated on a brick pavilion. A Historical Site sign said that I was standing in the former Court Square Slave Market, where slave traders sold men, women, and children to the highest bidder. It presented cold facts, detailing dollar values for slaves at the time and how none were given last names. I was speechless, and I was confused about the relationship of this ornate fountain to the slave market. The fountain was erected at a time when this site was not considered for it’s history, the sign placed in a gesture of reconsideration. Moreover, the language printed on the sign was so void of sentiment – in no way testifying to the experience and meaning. I watched people pass by and wondered if they knew or thought of the history beneath their feet. Curious about what I might find at other historical sites (marked or unmarked) through the American South, I began my search. I have been traveling throughout Mississippi, Tennessee, Georgia, Alabama, and Louisiana, and documenting sites where Civil Rights era atrocities, Klan activities, and slave trade occurred. In Pulaski, Tennessee, I found the room where the six original members created the KKK. 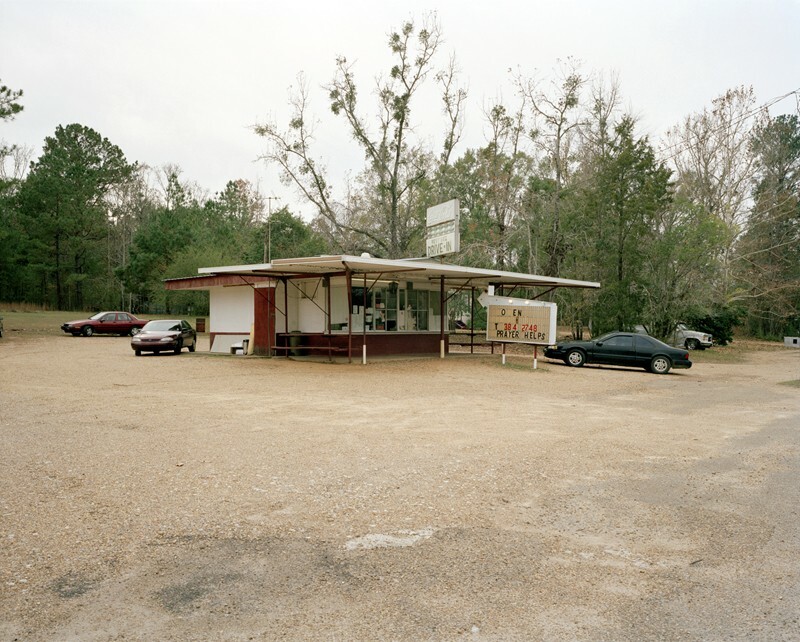 In Money, Mississippi, I visited the remains of the store where 14-year-old Emmett Till allegedly whistled at a white woman, and the Tallahatchie River, where he was dumped after being tortured and disfigured. 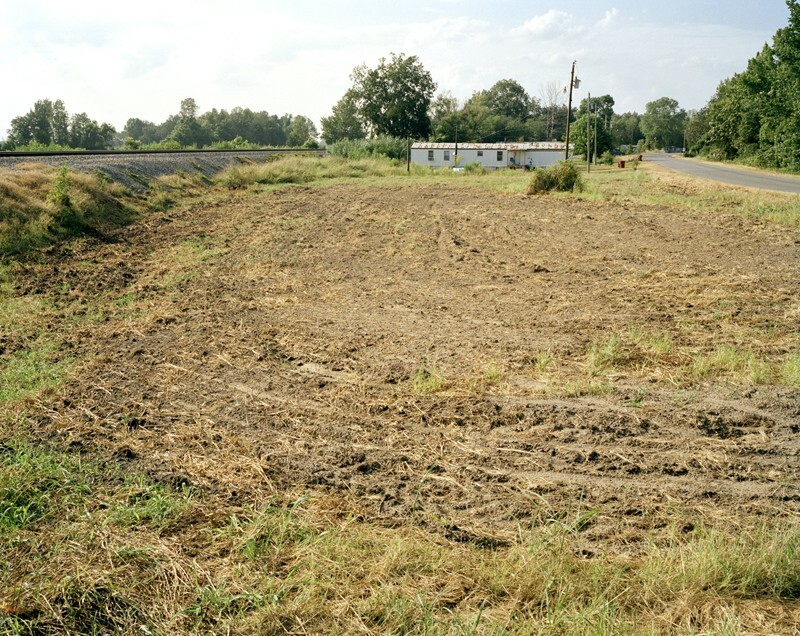 I traveled to Midnight, Mississippi, the birthplace of Rainey Poole, and saw the Sunflower River, where Poole was dumped after his murder in 1970. There are no markers in these places. The Southern landscape is swallowing these and other sites. I am interested in these sites, their memorials or lack thereof, and how the affects of this history still reverberate in these communities and in the landscape. I hope to create this context, and to remember these individuals and events through the images I am taking. I have found each of these sites through research, and more importantly, have met and talked to family members and local people about the person who was lost, and the effects it has on both the family and the community. These histories are fresh for the people that lived them. In the majority of these cases, there was no justice, or justice came late, when cases were reopened in the 1990s and 2000s. Often confessed murderers who were white, were acquitted by all white juries. The justice system failed, and this history must also be considered and called to account. It was not that long ago, and the effects linger. I am collecting these stories as oral histories, many of which have never been recorded or documented. My larger body of work is about families and communities. This project is absolutely about that. It is a meditation and a recapturing, a new memorial to these events- some of which have been excluded from the collective and mediated retelling of this period in our history. How did you go about locating these sites and were you faced with any obstacles during the process? I started with a series of questions. For example, where did the Klan begin?…the actual place. I knew it started in Pulaski, Tennessee. I grew up in Nashville which is not far from Pulaski and I remember hearing about the annual rally, and later, as a photojournalist for a newspaper in East Tennessee, I went to one of the rallies. So I started looking for the actual place. I looked online, in books, went to Pulaski three times before I found it. And I found it because I remembered I’d seen a records office in the courthouse. I went there, it’s on the top floor, and an older woman asked me what I was looking for. I felt a bit awkward, but then I asked, “Could you point me in the direction of a source that could tell me the actual site where the Klan began.” She replied, “Would you rather I just give you directions?” It was amazing. She had her own Klan research/archive, and she drew me a map which took me about 3 blocks to the site. Other research I’ve gotten by looking online, talking to family members of victims, journalists, current FBI agents, and ones from the original investigations, cold calling people, and Southern Poverty Law Center has allowed me to access their files. Often, though, I drive into town, and try to get as close to what I know about the event/site through the information I research before I go. I was looking for the site where Reverend Lee was murdered in Belzoni, Mississippi. It was my second visit there. The first one has been unsuccessful. So I went back, with the same address I had from my first visit, and I stopped at the local police station. An officer there took me to see his Dad, and left me there talking with him. While there, his Dad flagged down an old friend who was driving by, who remembered that the road names and numbers in that area had been changed and who remembered Reverend Lee being murdered. So the officer came back, and took me to the site, and he knew the 90 year old woman that lived across the street, who had always lived there, and she told me the story through the officer, and we found the original house number painted over. Then the officer and a another officer parked their cars blocking one lane of a not very busy road so I could set up my tripod. Research is a mixed bag. And confronting people is a mixed bag. Sometimes I feel good about it, and have confidence, and sometimes I struggle. One year I remember a trip where it felt like I’d had the wind knocked out of me. I lost my courage for a bit and had some doubts about my purpose. But I overcame that and kept going. Long projects are commitments, and can be up and down, but you have to stick with it and believe in your work. People walk by these unnoticed sights everyday. You express in your personal statement that your “hope is that the viewer will consider the relationship of the history within current contexts” What do you mean by this. I mean a lot of things…I mean the way that history gets written, and by whom, and who is left out of that and why. I mean that many of these people I am memorializing paved the way for the rest of us, paved the way for Obama, by things like driving out into rural Mississippi to register black people to vote, and then they lost their lives for that. And their were witnesses to these murders, but still the white man that killed the black man was acquitted by an all white jury…what does this mean for our prison system and justice system that this is legacy. What does this mean for how people feel powerful or powerless? This history is not long past, and so much has changed, but I think that a lot still needs to be acknowledged. There are many people out there calling out this history, working to bring justice, to educate, and to fight hatred and racism. I am encouraged and inspired by these people and their efforts. People like John Lewis, Jerry Mitchell, Stanley Nelson, John Seigenthaler, Thomas Moore and The Southern Poverty Law Center, just to name a few. 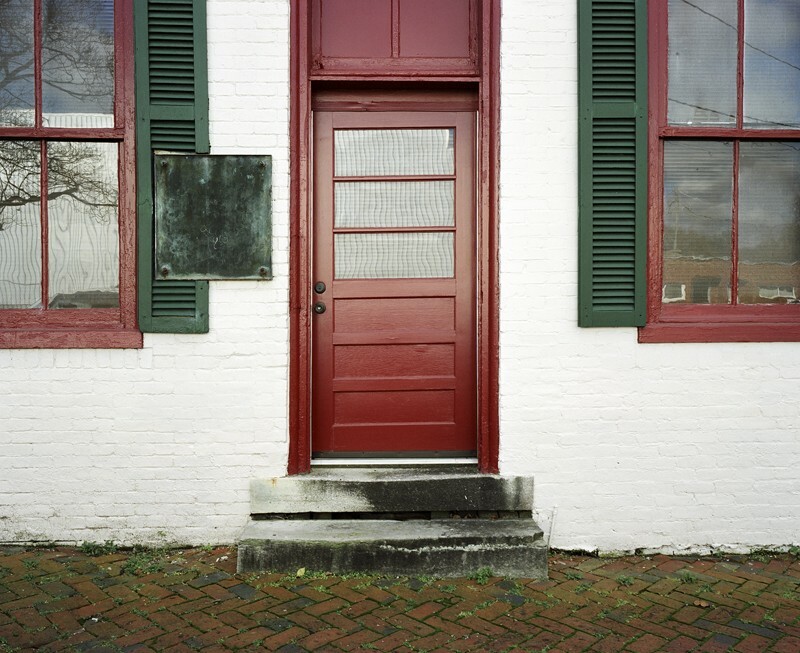 Are you done photographing Civil Rights memorials? And what are you working on next? I am almost done, though I could go on and on, and maybe I will. Just today someone told me a story I had never heard before about an event in East Tennessee. I am also recording oral histories, and am gearing up for a book dummy. I would love to see the work published, and I would also love to see a full exhibit of the work. I would also like to organize the source research in a way for it to be included in the book, and use the oral histories in an installation of the work. I have some ideas for future projects. One in particular will have me back home in East Tennessee. I miss portraiture, and I am a little fatigued with long periods on the road by myself, so we’ll see. There are always things I want to photograph, and I have so much Civil Rights work to sift through, but also all the photographs I take in between and day to day. I am also in a collective (www.causecollective.com). So in the middle of these personal projects, I am also working on collective projects. We just finished a permanent commission for the Oakland Museum of California. What advice would you give to other emerging photographers? KEEP GOING-in all aspects, no matter the failures or rejections! Meet people, stay in touch, and be as nice and supportive to yourself as you are to your peers. I can be my own worst enemy and critic. FotoVisura Projects Projects Jessica Ingram Int.